Just to expand on the previous post about the effect of action video games on attention, here’s a little more detail about the experiment in the paper. In this test, a group of participants, all with little or no video game playing experience, were randomly assigned to two groups. The first group (9 people) were asked to play Medal of Honor, for one hour per day, for 10 straight days. The second (8 people) played Tetris for the same time period. This is a good control condition, because it helps to cancel out improvements that might be made in, for instance, hand-eye coordination as opposed to actual cognitive improvements. Playing this game may bring cognitive benefits. At the end of the training, participants were giventhe enuration, useful-field-of-view and attentional blink tests described in this post. The group who played Medal of Honor performed better than the Tetris group, and this difference was statistically significant at the .05 level. Additionally, the researchers carried out a mediation analysis, to see if the benefits on these tasks could be accounted for by game playing skill. In other words, did the people who improved the most at Medal of Honor over these 10 days also perform the best on the cognitive tasks? The results did not reach statistical significance (0.13), altough the effect was pretty strong with an adjusted r squared of 0.43. That means 43% of the variation in cognitve performance was accounted for by improvements in playing Medal of Honor. These results suggest that playing Medal of Honor garners improvements in the attentional processing systems of the brain. However, note the limitations I mention in the previous post on this study. 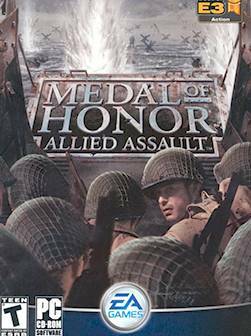 Note that the version of Medal of Honor they played was Medal of Honor: Allied Assault, from 2002 (the study was fromn 2003). However, it’s perfectly reasonable that the results apply to more recent versions of the game (both are first person shooters).